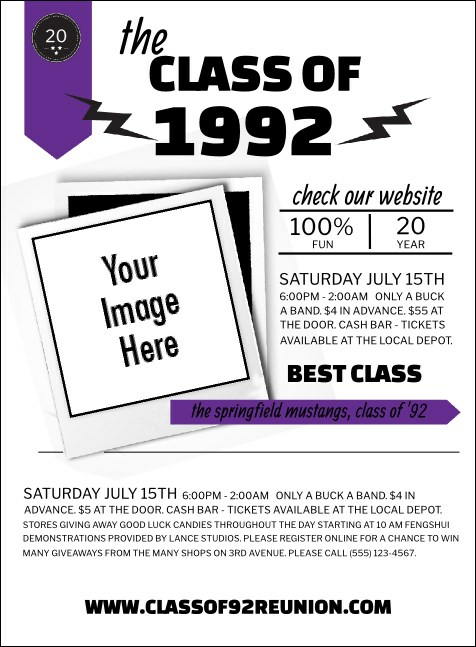 Fill your event with school spirit when you print Class Reunion Mascot Purple Invitations and send them out to your former classmates in advance. Get a great turnout for your school reunion with Invitations that feature a nice purple and white background with space to upload your own image. Keep your class in session at TicketPrinting.com.